Cowlicks has closed in Vinings. 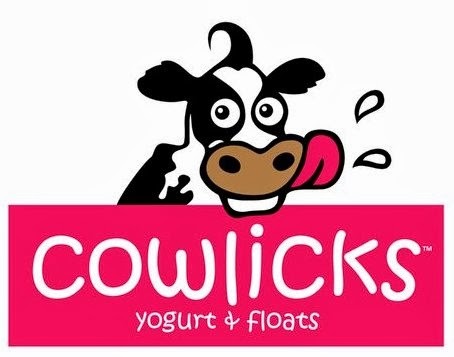 Atlanta-based Big Game Brands has closed the last location of its ill advised two-unit chain of Cowlicks Yogurt & Floats. The yogurt shop which opened a little to late in the yogurt craze to be viable opened in place of a Planet Smoothie, another former Big Game Brands concept. The Vinings location on Cumberland Parkway reportedly closed November 1st and comes not long after their Dunwoody location closed August 30th. The fact that I'm only now writing about this closure, as I was only recently made aware of its demise, is a testament to how slow and unmissed the concept was. Both locations opened in early 2011 well into the froyo craze that swept through metro Atlanta leaving me to believe the concept would have a short life. Earlier this year both locations were listed for sale by The Shumacher Group with each location priced at $49,999. Full ownership of the name and associated trademarks were to have been included in sale if both units were purchased by the same buyer. As of today the listing offering the two units for sale has been removed. Cowlicks is not the first local FroYo closure and surely not the last. Multiple Yoforia locations have closed as has the entire Atlanta Swirll group and a number of Menchies franchises. Has frozen yogurt run its course? Was Cowlicks just a terrible concept or could it have succeeded elsewhere? What would you like to see replace each location? Say what you will about Moe's (I know it's not your fave), but that was a huge success for them (with their original Raving Brands name), but everything else they have done has turned to poop. I do know what I DON'T want to go in there - a new Big Game Brands Concept!! As for ideas, I'd love a Morelli's or similar high quality ice cream place - or frozen custard. Sheridan's - you are missed! !